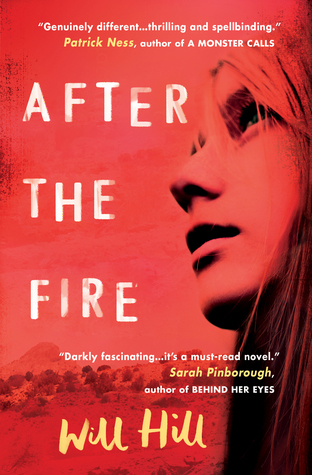 After The Fire: hard-hitting, moving and tough. But so worth it. After The Fire tells the story of Moonbeam, a young girl who lives in a cult, who is taken away by the Outsiders when there is a big fire on the property. It tells her journey from being inside of the cult to being on the outside. You watch her go from a scared, lonely, doubting young lady to someone attempting to be ready for the outside world to hit her. The thing I loved most about this book was the interspersion of flashbacks with now. The book is written with Moonbeam’s memories woven into her recovery. Every other chapter is an insight into life inside the cult. From the wicked Father John, to Nate – the lovely, ray of light Nate – and the day to day business of being part of the Legion. These insights into life with the Legion fascinated me. Despicable acts to multiple wives: it is all explored in Moonbeam’s flashbacks. As you go through the book, you learn more about Moonbeam’s life – the loss of her mother, friends and loveable Father. Moonbeam’s journey of faith was an interesting part of this book – you watch her turn from believer to doubter… should she believe the Outsiders are all bad? Or are the worst acts happening in front of her eyes? The characters, the stories and the journies make this book exceptionally special. It isn’t only Moonbeam who will touch your heart, but you meet Luke – poor Luke, whose whole life is follow Father John and his teachings – and some of the others who are rescued from the cult – shout out to brave Honey. There’s also an FBI agent who as the book went on, I really started to like – as Moonbeam warms to him, as she begins to trust him her revelations about life with the Legion get more intense. I would absolutely recommend this to everyone. Please, go on, read it. I was lucky enough to get a proof copy from Usborne. Have you read After The Fire? What did you think of Father John? Can you recommend any other cult books to me?